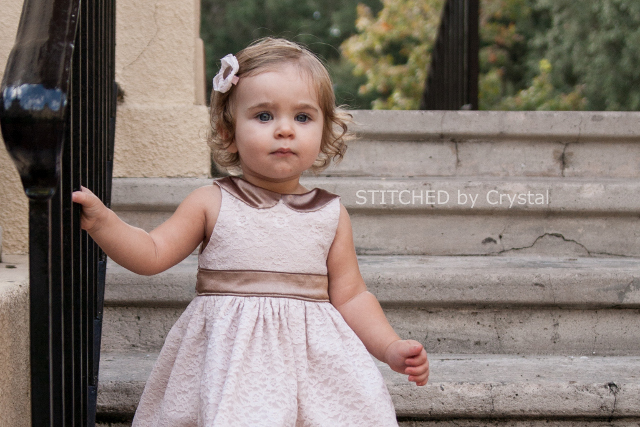 STITCHED by Crystal: The Holiday Dress and a Free Pattern! 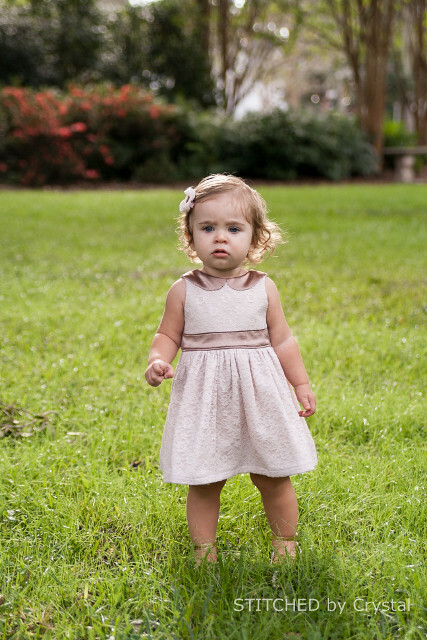 The Holiday Dress and a Free Pattern! 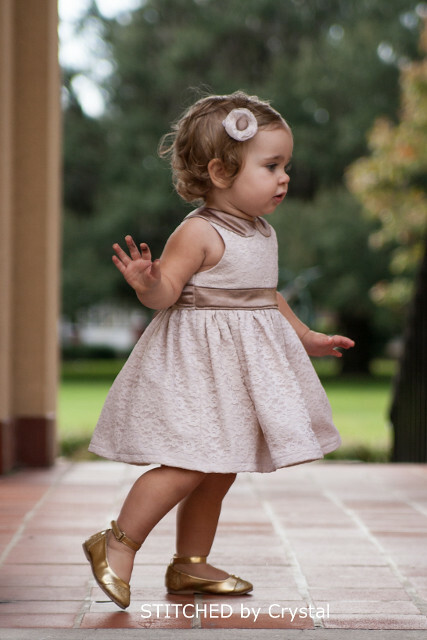 I am so excited to share E's holiday dress with you today! 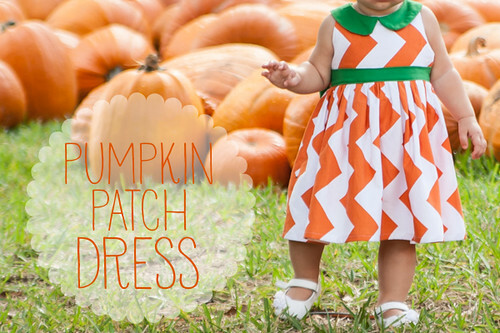 I made this dress using the same pattern I had drafted for the Pumpkin Patch dress I made for the pumpkin challenge over at SYTYC. And I digitized my pattern and am sharing it with you today! 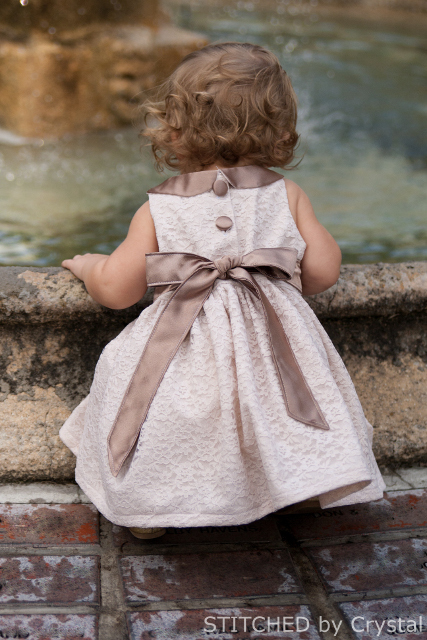 The dress is made with a lined bodice and gathered skirt and closes with buttons in the back. It has a sash that is sewn on the front and ties in the back and a sweet little peter pan collar that hangs over the shoulder seams just a bit. I wanted a vintage holiday look for E, so I chose a lace fabric and layered it over some cotton fabric. Then I chose a satin for the sash and collar. All the fabrics in this dress came from Joann's. Now for the details on the pattern! I only drafted the pattern to fit my daughter and did not scale it at all. So it is only available in size 18 months. The pattern will fit a girl with a chest size of about 19"-20" and hits just above the knee. 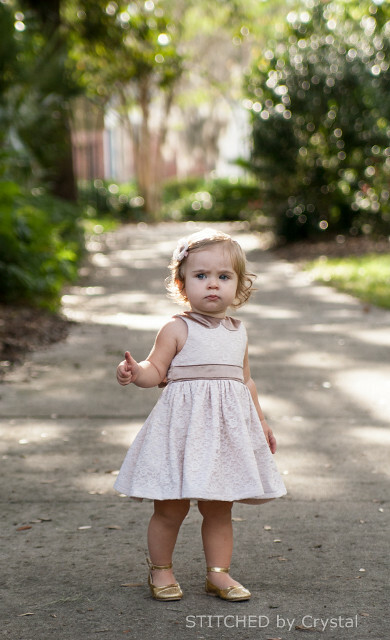 So if you have a little girl in your life around 18 months, download the pattern above and make her a Holiday Dress!